American Express offers some of the most versatile charge and credit cards in the marketplace today. 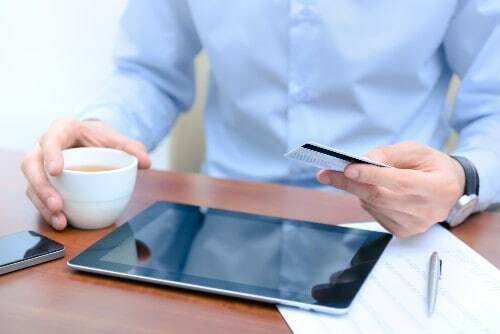 The company’s offerings include charge and credit cards specifically for business owners as well as a line of cards for consumers. American Express cards are a favorite among consumers as they can provide significant rewards that can be sued for travel, merchandise or even a statement credit. In addition, their world-renowned customer service makes them a top choice for those who use their cards a lot or for those who travel. While the name “American Express” may bring credit cards to mind, the company does also have an excellent offering in the banking arena. In fact, the company offers one of the most competitive savings accounts currently available. Given the past decade of ultra-low interest rates in the U.S. and abroad, investors are always on the lookout for the best rates possible. A high-yield savings account not only offers a decent rate of interest, but also comes with the security of an insured and regulated account. How Does American Express Offer Such a Great Rate? Is an American Express Personal Savings Account Good? Should I Open an American Express Savings Account? Does Clark Howard Approve of Savings Accounts wIth American Express? Can You have 2 American Express Savings Accounts? Does an American Express Savings Account Cost AnythIng? What Is American Express Open Savings Program? Is American Express Personal Savings FDIC Insured? Is American Express Savings Safe? Are American Express Savings Accounts Legit? Is American Express Safe for Savings Deposits? Does American Express Savings Have an App? How to WIthdraw Money from American Express Savings Account? Is there an App for American Express Personal Savings? How to Deposit into American Express Savings? How to Access American Express Personal Savings Account? How to Add an Account on American Express Savings? Does American Express Connect Credit card with Savings Account? How to Transfer Savings from BOFA to American Express? Can You Link American Express Serve to American Express Savings? How to Deposit Checks into American Express Personal Savings? How to Access American Express Personal Savings? How Many Withdrawals Can You Make with American Express Savings? is there a Minimum for Personal Savings Account American Express? Does the American Express App Show Savings Accounts? What is the interest on American Express Savings? When Does American Express Savings Pay interest? When is interest Earned with American Express Personal Savings? How Often Does American Express Savings Change Rate? How to Calculate APY American Express High Yield Savings? When Did American Express Personal Savings Up Rate to 1.60? Does Save Mart Accept American Express? Does Pak n Save Accept American Express? Does Save a Lot Take American Express? How to Delete American Express Savings Account? How Long Does American Express Save My Statements? How to Close American Express Savings Account? Can American Express Savings be Used for IRA? American Express Bank FSB is an FDIC-insured bank headquartered in Salt Lake City, Utah. The bank provides its services to customers online and it offers two products: A high-yield certificate of deposit, or CD, and high-yield savings accounts. The fact that the bank is FDIC-insured means that your funds are protected by the Federal Deposit Insurance Corporation up to the maximum limit allowed. A certificate of deposit is a deposit made for a set period of time that earns interest. CDs are typically available from banks for a variety of time periods. American Express Bank offers CDs from six to 60 months in length. CDs that have a longer length of time until maturity will usually pay a higher rate of interest. Banks are willing to pay these higher rates in order to lock up capital for a longer period of time, thus allowing them to make loans and carry out other operations. It is important to keep in mind that if a withdrawal is made from a CD prior to the maturity date, penalties and/or fees may apply. Before deciding on a CD, make sure you will not need that capital until the CD matures. If the account is closed for any reason or if you withdraw the entire principal balance, the penalty equals 90 days worth of interest based on the interest rate included in your account-opening documents. If the account is closed for any reason or if the entire principal balance is withdrawn, the penalty equals 180 days worth of interest based on the interest rate included in your account-opening documents. The interest rates for American Express certificates of deposit do not appear to be very competitive for the marketplace. Given the potential penalties that may be incurred by an early withdrawal, savers may be far better off taking advantage of the bank’s high-yield savings account product. The American Express Bank high-yield savings account operates the same way as any other savings account. The account has no minimum balance requirements, and investors can make up to six withdrawals per month as per federal law. Interest rates for the American Express Bank high-yield savings account are some of the highest available in the market today. Currently, the bank offers an interest rate of 2.00% APY. This rate is one of the highest you will find, and is a welcome break from a period of nearly non-existent savings rates. Rates are subject to change, however, and can go higher or lower. With no account minimums and no account fees, the American Express Bank high-yield savings account is an excellent choice for those looking to put their money to work. Your application can be completed online or by calling American Express at 1-800-446-6307. Once your account is approved (oftentimes the same day), you will receive conformation via email or online. You can then expect to get a welcome kit from the bank by mail a few days later. Funding your high-yield savings account is also very convenient. The easiest wya to fund your account is to link another checking or savings account to your high-yield account. You can then log into your account and request a transfer in the amount that you choose. Your high-yield account will then transfer the specified amount from your checking or alternative account so that you can start earning interest on it right away. If for any reason you elect not to fund your account electronically, you also have the option for funding by check. Keep in mind, however, that funding by check may be a longer process and it could take several days or more for you deposit to post to your account. One of the things American Express is best known for is its exemplary customer service. Just like its credit card business, Amex offers 24/7 online account access as well as 24/7 customer support. Regardless of the time or location, you can always reach a customer service professional for any issues that you may have. Without getting overly into the details, the biggest likely reason that the rate is so competitive is because of the fact that American Express Bank is an online bank. The bank does not have brick-and-mortar branches that come with all of the overhead of a physical location which can include costs such as rent, utilities, security and more. The bank enjoys a significant cost savings based on this model, and appears to be passing that savings on to customers in the form of higher rates. A high-yield savings account can be used for several reasons. 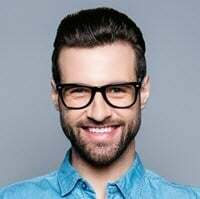 These accounts may be useful for not only simple savings, but also for other reasons such as putting money away for taxes, saving for a large expenditure or even just earning some interest on excess cash sitting in a checking account. Everyone should establish an emergency fund as well, and this type of account is a great place to keep those funds so they not only earn but are also easily and quickly accessible if necessary. Although you can make up to six withdrawals per month, this type of account may be best left alone to due its work. Funds that are left in the account will enjoy the benefits of compounding, allowing your savings to grow at a faster and faster rate. This section covers general questions about American Express Savings Accounts. Use this information to get a good foundation for understanding these accounts. You can use this foundation to help you understand the answers to more complex questions. Yes. American Express Personal Savings Accounts are a good online savings option. They offer a high interest rate when you compare them to other savings account options online. Probably. 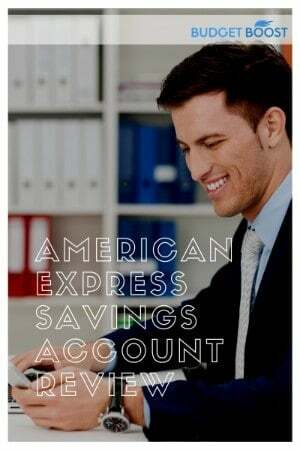 If you’re looking for a high-yield online savings account that’s managed by one of the leaders in the financial industry, then an American Express Savings Account is a good option for you. Yes. Clark Howard lists American Express Savings Accounts as a good option for people looking for a high-yield online savings account in an Oct 18, 2018 article on his site. Yes, you aren’t limited in the number of American Express Savings Accounts that you can have. The only limitation is on the number of withdrawals you can make from the accounts – 6 per monthly statement cycle. No, there’s no monthly fee, no annual fee, and no minimum balance requirements. That means there’s no cost to you to open an American Express Savings Account. The American Express Open Savings Program is a new high-yield online savings account. It offers extremely competitive interest rates, making it an appealing option for many consumers. Safety and security are important aspects of any financial product. This section covers all of your questions about American Express Savings Account safety and security. Yes. American Express Personal Savings Accounts are FDIC Insured for up to $250,000 per depositor. That means your money will be safe if the worst should happen. Yes, American Express Savings Accounts are extremely safe. They use the latest bank-level encryption to handle account transactions and are FDIC insured up to $250,000. American Express Personal Savings Accounts are legit. They offer an extremely competitive 1.90% APY and are FDIC insured. American Express is one of the leaders in the financial industry, so they know what they’re doing. Yes, American Express Savings Accounts are safe for your savings deposits. Moreover, they’re a great way to earn money on your savings with a 1.90% APY rate. This section answers your questions about how to use the various features of an American Express Savings Account. Not at this time. American Express is working on developing an app that will allow you to access your American Express Savings Account along with all of your other American Express products. You can withdraw money from an American Express Savings account by sending it to your linked external account. You are limited to six withdrawals per statement cycle. Not right now. However, AmEx has plans to develop an app that manages all of the American Express products you use in the near future, so keep checking back. You can deposit into American Express savings by linking an external account to your savings account. All you need are the account and routing numbers for the external account. The best way to access an American Express Personal Savings account is by using their online portal. This portal will give you access to your account and all of its features. You need to open a second account. Just follow the procedures that you went through in order to create your first American Express Savings account to create a second one. Yes, you can connect your American Express Credit Card with your American Express Personal Savings Account. You can do this under your profile once you log in to your account. it’s easy to transfer savings from BOFA to American Express Personal Savings. You’ll just need your account number and routing number. Then, input this information under the option to link an external account. This will allow you to transfer your funds. Yes, you’ll just need your account and routing number. Then you can link your Serve account the same way you would any other external account. You can access your American Express Personal Savings through their online portal. This will let you transfer funds and manage your account. Federal regulations limit the number of withdrawals you can make from a savings account to 6 withdrawals per statement cycle. There’s no minimum balance requirement for an American Express Personal Savings Account. That means anyone can sign up one and take advantage of the great APY the account offers. No, the American Express app does not currently interact with your American Express Personal Savings Account. You’ll need to sign in online to manage your savings account. Lots of people have questions about the interest rates for American Express Savings Accounts. We’ll answer those questions here. Currently the APY on an American Express Personal Savings Account is 1.90% APY. However, as with any savings account, American Express can increase or decrease this number at will. American Express Savings Accounts pay interest monthly. You’ll see the interest earned on your statements each month. That lets you track your savings and interest earnings easily. interest is earned every day and is added to your account at the end of your monthly statement cycle. You can track your interest online or on your statements. Not very often. However, American Express can change the rate on their savings account at any time. As of this writing, the interest rate is 1.90% APY. You can calculate the APY on your American Express High Yield Savings account by taking the interest earned and dividing it by your balance. That will produce a percentage. You can also check the APY on your statement. There’s no record available for when American Express Personal Savings rates changed. Currently they’re at 1.90% APY, which is even higher than 1.60%. Here are common questions regarding stores and establishments that accept American Express. Yes, Save Mart accepts American Express, Visa, Mastercard, and Discover for payment. The only payment restrictions are using gift cards to buy more gift cards. Yes, Pak n Save accepts American Express as a payment option. You can also use Visa, Mastercard, cash, or check. This section covers questions about American Express Savings Accounts that don’t fall into our other categories. You can close your account by transferring all funds to another account. Transfers that zero-out your account will prompt a message asking if you want to close the account. Confirm you want to close the account and you’ll be done. You can immediately view statements from the past 6 months. You can review older statements by recalling them on the American Express website. The first step to closing your American Express Savings Account is to transfer all your current funds to another account. This will prompt a message asking if you want to close the account. Just follow the steps from there to close the account. No, American Express Savings Accounts can only be used for personal, family, or household uses. They can’t be used for IRAs, business accounts, or trusts.